The letters are super cute! These are SO cute! And just when I was looking for an excuse to buy new cards! Thanks! AHH! Both are SO adorable! 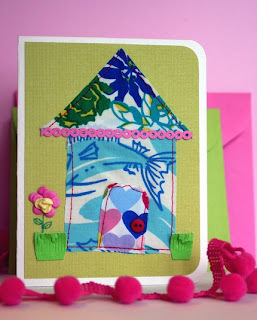 I have a giveaway at Bridal Buzz, www.wedeventdesign.blogspot.com. Check it out and blog about it and I'll enter you 3x! They are cute note cards and you get your choice, and your choice of monogram or name imprinted. Thanks! So cute! Love the letters. I saw those letters on etsy yesterday! Those are a Must Have for sure!! Those are ADORABLE...I love them! Those note cards are adorable! Those letters are fab! 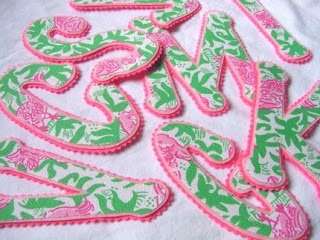 I think I want one of each for a Lilly Alphabet wall, ha! Cute letters! I'm not sure where to send this, but I was just in downtown Chicago and the Filene's Basement on State Street has a ton of Vineyard Vines on sale! Who knew - go grab some before they're all gone! Those letters are so cool Miss Kate, I zoomed right over to her etsy shop. What fun stuff! if you can go to brit---GO! Thank you for the shout out. I'm the card maker! I have a giveaway on my blog right now but you can get info by going to my Etsy shop. thanks again! oh those letters are just precious. i need them!!! Cool! You always find the best stuff.